Tim Griffith has been photographing architecture and design related images for over thirty years. Melbourne born and currently based in San Francisco, Tim travels extensively on assignments in Asia, Europe and North America for a number of the world’s leading design firms. His inventive and graphic images are included in several private and public art collections, widely published in a diverse range of international design journals and sought after by corporate and advertising clients around the world. 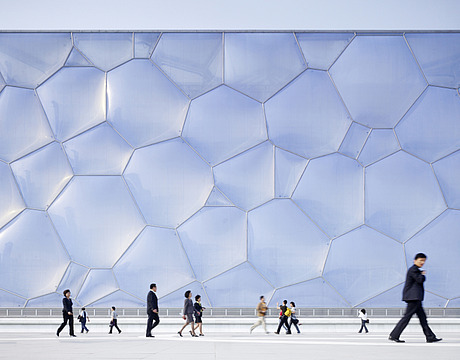 For his profile picture, Tim chose his shot of the Beijing Olympics Aquatic Centre designed by PTW, captured on the first day the building was open to the public: "The low camera angle and randomness of the passing crowds provided a great foil against that backdrop of the unique forms of the facade."